The Future IT Summit 2016, organized by Enterprise Channels MEA and brought to you by Global Enterprise Connect, concluded on a high note at the Armani Hotel, Burj Khalifa. The two-day summit stood witness to some amazing presentations and discussions on Cloud and IoT by the keynote speakers and panelists as they engaged in some ice breaking sessions throughout the 2 days. The event hosted the top government organizations, ministries, business conglomerates and leading organizations from various verticals in the 2 days. Setting a very non-conventional tone, the summit presented the audience the Future IT landscape of GCC countries with some thought provoking and technology rich presentations. 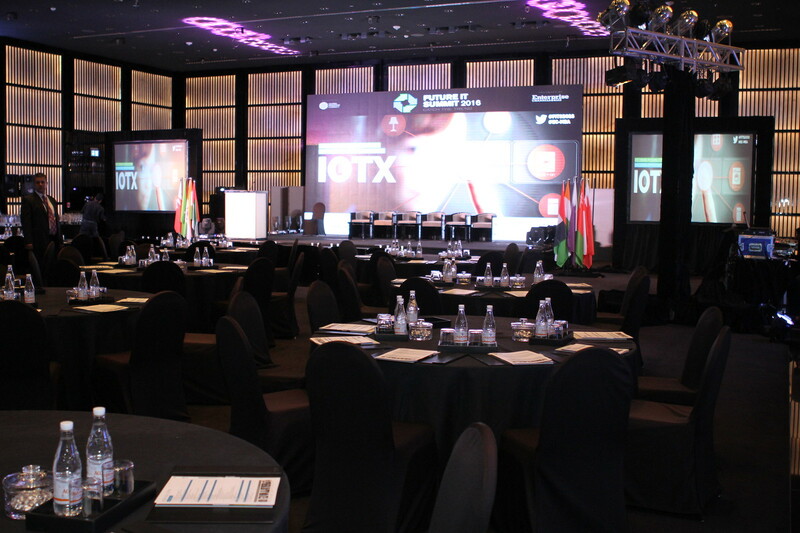 The first Future IT Summit was held in The Address Hotel, Downtown Dubai on 16th March 2015, it analyzed the hybrid cloud market and received a great response from the market and was applauded for exploring multiple layers of hybrid cloud along with top experts from the industry. The success of the first year led to the Future IT Summit to be held again for two days. The sponsors for the FITS2016 were; platinum sponsor – DELL; gold sponsor- Veeam; networking partner- Intertec and HP Enterprise; Government supporting partner- Consulate General of India, Dubai Municipality, University of Ha’il, KSA, Ministry of Community Development, TRA Oman; Strategic partner- Finesse; Supporting Partner- Microsoft and Fortinet; Event Partner- Cisco, Rittal, Aruba, Emitac, Pure Storage, Oxygen, VCE, OMA Emirates, Spectrami, Unify; Official Airline Partner- Gulf Air; Hospitality Partner- Hyatt Group. The first day of the Future IT Summit 2016 was dedicated to ‘CLOUD’, its growth, security and maturity in the market along with potential opportunities for cloud was analyzed. Future IT Landscape of UAE and Kingdom of Saudi Arabia were examined with key speakers. The panel discussion on ‘Challenges and Opportunities- A Reality Check’ was a thundering one with experts like Mr Mubarik Hussain, Head of IT, Petroserv; Mr Faidy Sleiman, CIO, Waha Capital; Mr Mohammed Salman, Head of Managed Services, Emitac Enterprise Solutions; Mr Omar Akhtar, Regional Channel Manager, ME and SAARC, Veeam; Mr Loay Ahmed AlNakhal, Dubai Municipality. The panel was moderated by Mr Ashish Dass who is a leading IT industry veteran. Day 1 speakers were; Mr Mohammed Sayed, Cloud Services Leader, IBM, Middle East and Pakistan; Mr Omar Akhtar, Regional Channel Manager, ME and SAARC, Veeam; Mr Loay Ahmed AlNakhal, Dubai Municipality; Mr Hussam Juma, Director of Enterprise Architecture and Business Process, Dubai Customs; Mr Kevin Ashby, Senior Product Marketing Manager, Cloud and Enterprise, Microsoft; Dr Majed Alhaisoni, Dean of IT, University of Ha’il, KSA, Dr Mustafa H. Qurban, Consultant and CIO, KFMMC; Mr Tony Zabaneh, Channel System Engineer, Fortinet. The second day of Future IT Summit 2016 was packed with ‘IoT’ developments and future world of IoT. The ICT landscape of countries like Oman and India were analyzed. The speakers for the day two were Mr Venkatesh Mahadevan, Head of IT, Dubai Investments PJSC; Mr Basil Ayass, Regional Marketing Director, DELL MEA; Mr Anthony Sayers, IoT Strategist, DELL, OEM Solutions EMEA; Mr Yahya Al Mawali, ICT Advisor, TRA Oman; Mr Murat Ethem Eldem, Senior Director M2M and IoT, Etisalat; Mr Ashley Woodbridge, Senior Solutions Architect, Cisco; Dr Vivek Mansingh, Chairman of AxisCades. The thundering panel discussion was carried out by Mr Ashish Dass and the members of the discussion included Anthony Sayers, IoT Strategist, DELL, OEM Solutions EMEA; Mr Ajay Rathi, Director of IT, Meeras Holding; Mr Kumar Prasoon, CIO, Safeer Group; Mr Firoz Kumar Rauta, Head of IT, Skyline University; Mr Rusty Bruns, CIO of American University of Kuwait; Dr Hani Al-Zaid, Consultant and CIO, The Saudi Shura Council, KSA; Mr Nasser Mustafa, MD Channels, Alliances, BD & Ventures, MENAT, GE Digital. In conjunction with the summit, the most awaited Catalyst Awards was held on the 7th April 2016, Enterprise Channels MEA values individuals and believe in awarding their capabilities and dedication to the efforts they put in project after project. Catalyst Awards was pioneered by Enterprise Channels MEA and which is a novel and one of its kind award to honor individuals.